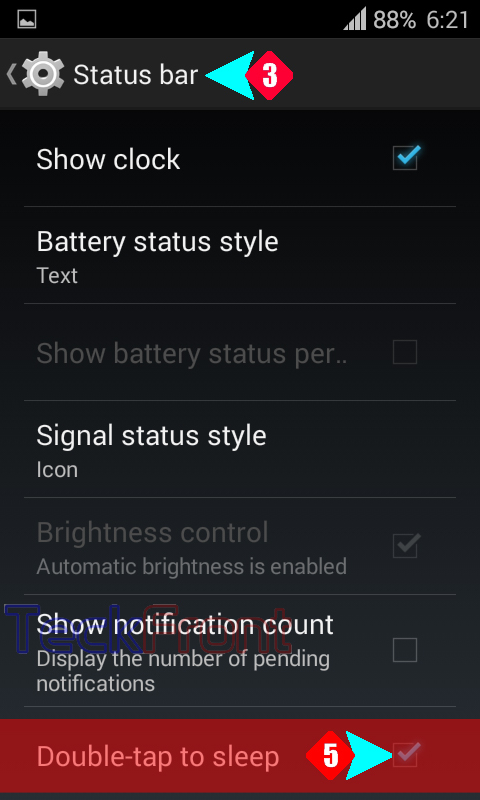 How to Double-Tap on Status Bar to Sleep the Android KitKat Phone? To get the screen sleep in the Android KiatKat 4.4.2 is not a difficult job now. 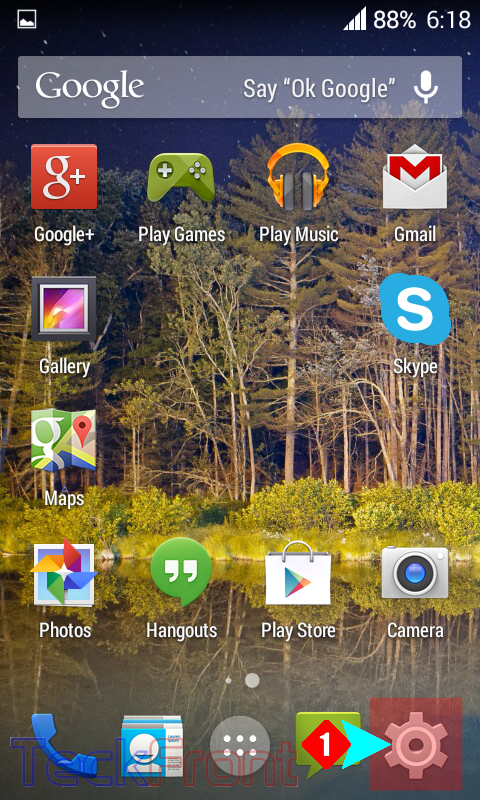 Now, you may just double tap the ‘Status Bar’ to get the Android KitKat phone, sleep. But you need to set the double-tap before applying the tip. This is a very simple tip. Command Line: Settings > PERSONALIZATION – Interface > Status Bar> Double-tap to sleep. 1: Double-tap at the ‘Status Bar’ of the Home screen of your Android Smartphone and see the double-tapping to sleep feature is not enabled. 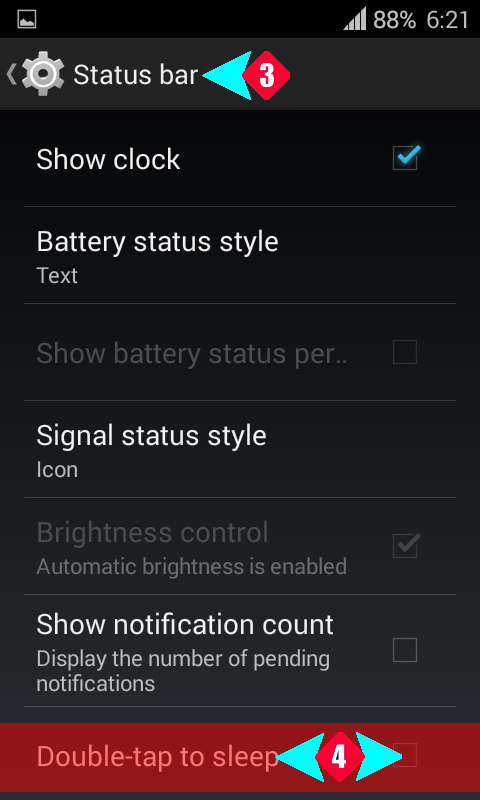 2: To activate the double-tap to sleep feature in Android KitKat 4.4.2, tap the ‘Settings’. 3: Tap the ‘Interface’ under PERSONALIZATION. 4: Tap ‘Status Bar’ on the ‘Interface’ screen. 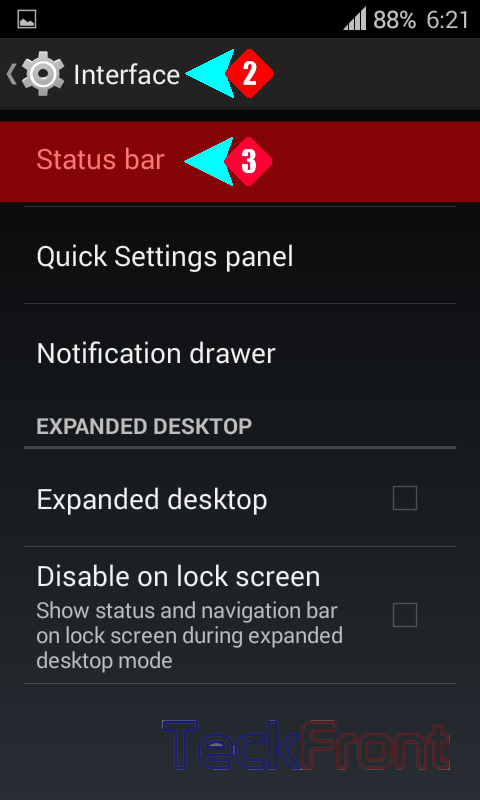 5: At the ‘Status Bar’ screen, see the ‘Double-tap to sleep’ feature is not checked, i.e. not enabled. 6: Tap the ‘Double-tap to sleep’ to check it and it will be enabled. 7: Now, double-tap the ‘Status-Bar’ to check whether the ‘Double-tap to sleep’ feature is enabled or not. 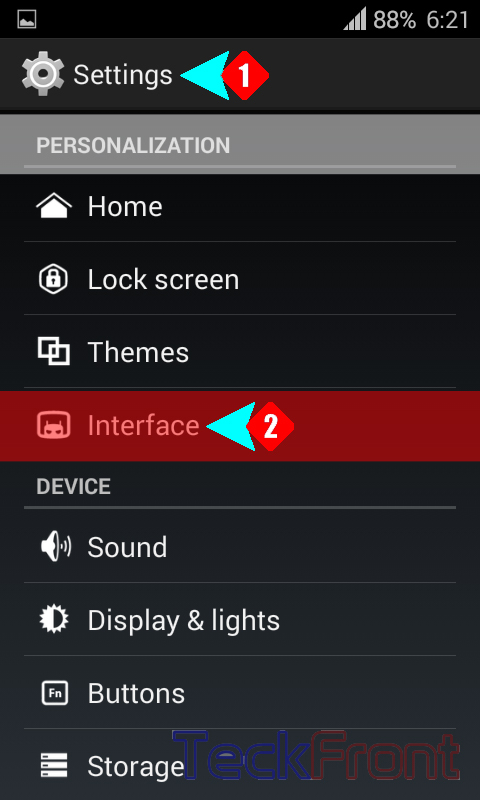 Newer How to Set Vibrate While on Answering the Call on Android KitKat 4.4.2 Smartphones? Older How to Inter-Change b/t Front and Back Camera of Android KitKat Phone?